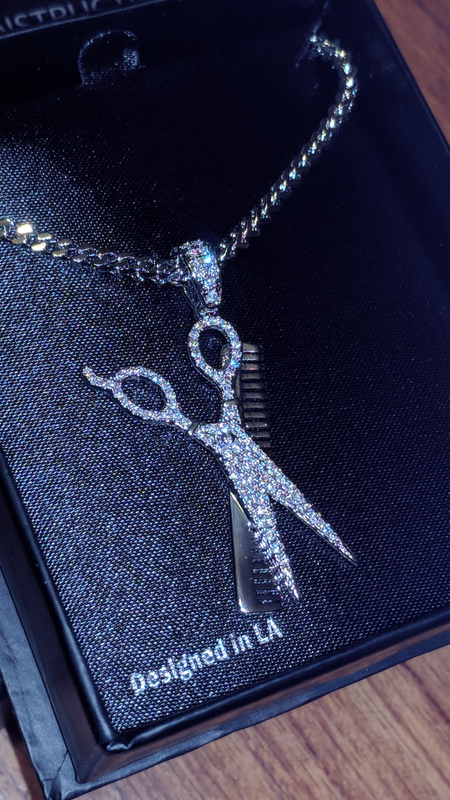 Plated to perfection, this White Gold Comb and Scissors Necklace provides a classic piece belonging to The Shop collection. Each piece showcases the intricate details designed and created to the fine details of one of the most essential pieces to any barber's arsenal. It shines alongside the 2.5mm, 20" stainless steel Franco chain. I love this piece really good quailty can't wait to wear it at work. Will definitely be ordering again. Its juuuuust right! Thanks fam for your review!